Ankara University, Faculty of Dentistry is one of the most fundamental faculties of Ankara University, which is the first university founded by the Republic of Turkey. Our faculty not only contributed to the world of science but also provided prosperous health care with its experienced faculty members and staff during the past 50 years. The mission of our faculty is to pursue great leader Atatürk’s way, to facilitate a contemporary education having higher standards with a modern educational approach and to earn professional knowledge and skills for our students. Ankara University, Faculty of Dentistry is continuing its pioneering role in both educational quality and well qualified graduates. Our faculty aims to provide the best and well-qualified health care of international standards and to achieve highest patient satisfaction level, also supported the foundation of numerous national and international dental faculties and will continue its mission in the future. 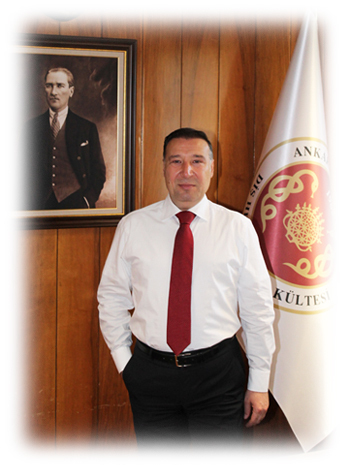 With the outstanding efforts of our academic and administrative staff, together with our students, Ankara University, Faculty of Dentistry became a ‘brandmark’ and from now on all our shareholders will endeavour to convey our faculty to more higher levels with self-sacrifice and enthusiasm aiming to constantly develop and prosper.